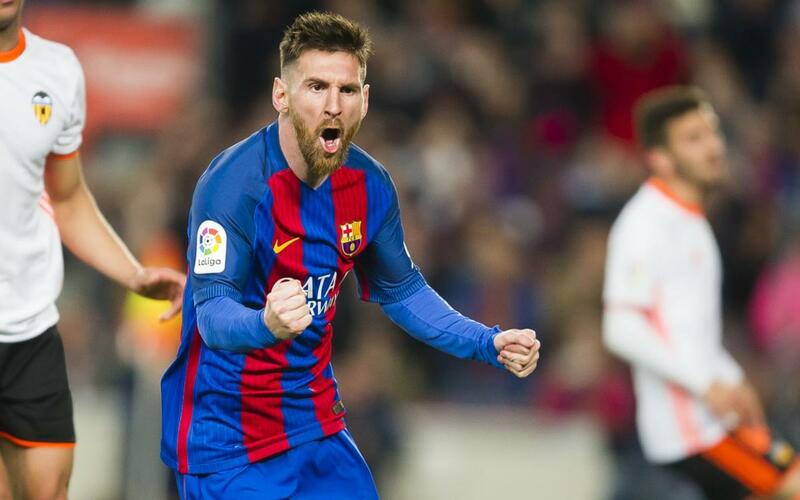 The goals from Leo Messi keep coming thick and fast, and his latest pair in the 4-2 defeat of Valencia on Sunday mean that he has now achieved the incredible record of registering braces in 100 different games for Barcelona. And, of course, that’s not counting the times when he has scored three or more, of which there have been plenty! No other Liga player can make the same claim, and we are also talking about the man with the overall record for official goals in a season – the 73 that the Argentinian poked away in 2011/12. 25 of his goals this term have come in LaLiga, making it nine seasons running that Messi has scored at least 20 goals in the domestic championship. His currently the top scorer in the competition, with team-mate Luis Suárez second on 21. Leo is also the frontrunner in the chase for the European Golden Shoe with 50 points (Liga goals count double in the ranking), closely followed by Bas Dost of Sporting Lisbon, whose 24 goals amount to 48 points. Next in the list are Aubameyang of Borussia Dortmund (23 goals, 46 points) and Belotti of Torino (22 goals, 44 points).